As auto companies are one of the top creators of television commercials it’s a good time now since many of the year’s best commercials will air during this Sunday’s Superbowl. For Canadians it has always been a challenge to view the US commercials so hopefully you can see them come Sunday. To help out with this, we have put together a few previews of the coolest auto ads set to air Sunday. We hope you like it. As we begin 2013, it is evident there is lots of new excitement in the Canadian compact car segment with many companies offering more models than in years past. 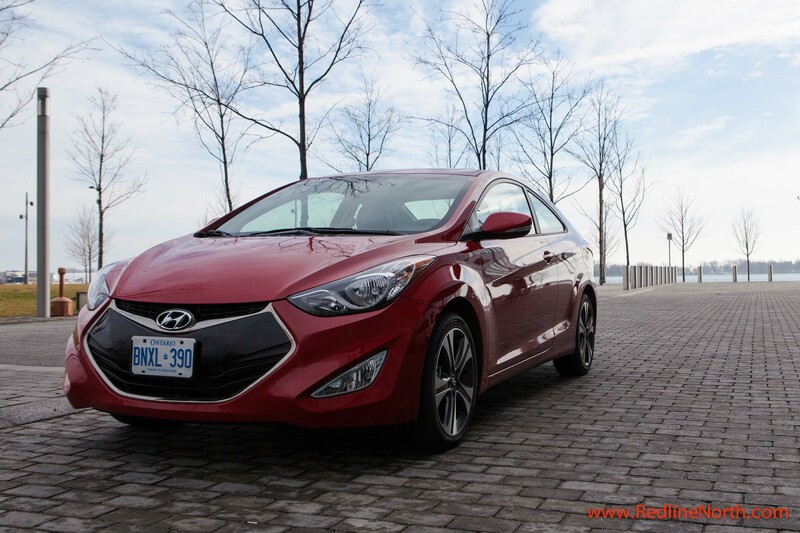 Hyundai Canada is one of these companies bringing to market a trifecta offering of their 2013 Elantra in sedan, coupe and GT models. Earlier this month, we had the opportunity to get up close and personal with the new Hyundai Elantra Coupe. Aimed primarily at competing with the Honda Civic Coupe and Scion tC, the Elantra Coupe is a real bright spot in the compact car scene with its sleek looks, well refined appointments and stellar pricing. In spite of its good looks and great value, Hyundai does not anticipate breaking any sales records as they estimate only about 5% of all Elantras sold this year in Canada will be the coupe model. Wow, although interesting from a market segment perspective it’s a bit of shame since the coupe model is a real pleasure to drive in both highway and city environments. The Elantra Coupe comes in two trim models, the GLS starting at $19,949 CAD with manual transmission and the SE with automatic transmission starting at $25,199 CAD (as tested). 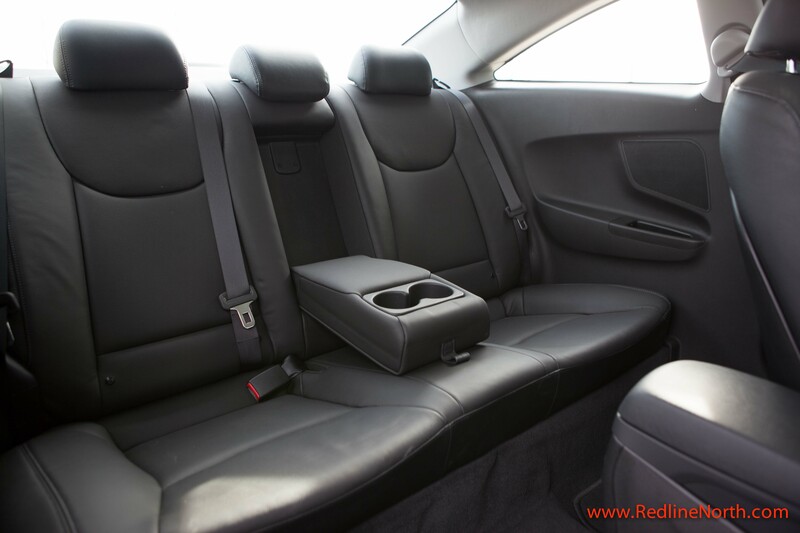 The interior of the Elantra Coupe SE is very well appointed. The dashboard, infotainment system and climate controls are intuitively located and easy to read and navigate. The SE version of the coupe comes with dual zone climate control, rearview camera and heated front seats, a nice touch for a car in this class. In addition, the machined alloy foot rest, gas and brake pedals lend itself to enhancing the coupe’s sporty look and feel. Considering it is a two door coupe, there is surprisingly a fair amount of legroom in the back seats and a nice interior touch is the cup holders in the center arm rest. Interior storage is plentiful with available space within the middle arm rest, doors, below the climate control console and of course the glove box offering plenty of places for keys, phone, wallet/purse etc. The trunk offers a generous amount of room as well, enough even for families driving kids around to weekend sports activities. One area that could use some improvement is the quality of the stereo system. 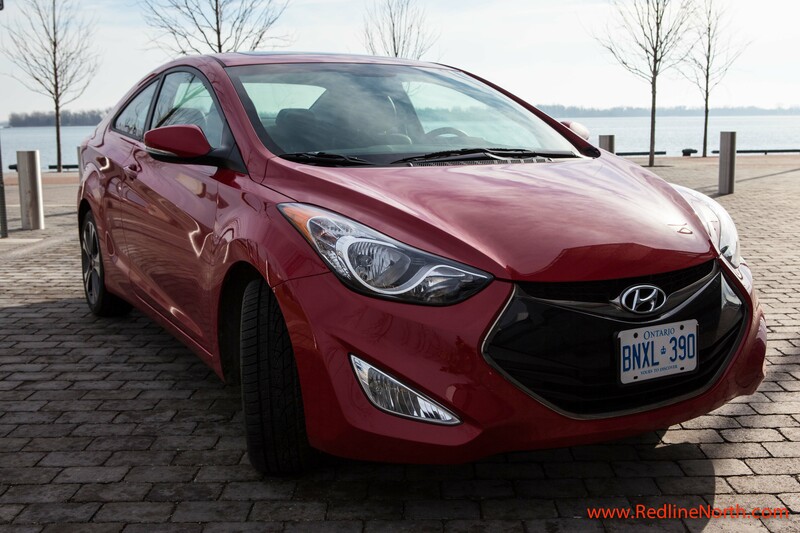 While the Elantra Coupe RedlineNorth tested offers satellite radio, CD/MP3 player, USB and auxiliary inputs for iPhones and the like, the music coming from the speakers sounded a bit lackluster and was underwhelming. For a performance focused coupe, Hyundai should consider improving the stereo system in future model years. Although the coupe felt sporty, with moderate pick up off the line, there was a fair amount of engine noise associated with acceleration. It’s unfortunate the 6 speed manual transmission is not offered with the SE version of the coupe in Canada as it would make a very fun ride even better. Braking was highly responsive as it uses an electronic brake force distribution system that balances braking pressure at each wheel. In a nod to saving your pennies at the pump, all automatic transmission models come standard with an optional active eco system that modifies the engine and transmission control to help increase fuel efficiency. In addition, the coupe is equipped with electronic throttle control which improves drivability and fuel efficiency by replacing a conventional cable and linkage setup with much faster electronic hardware. All this results in the SE version of the Coupe achieving posted fuel efficiency ratings of 7.6L/100km City, 5.3L/100 km Highway and 6.6L/100 km combined. During the test period RedlineNorth experienced slightly higher combined numbers at approximately 7.4L/100km which we felt was reasonable given the mix of city/highway driving over the test period. The key players currently competing with the 2013 Hyundai Elantra Coupe for Canadian buyers include the Honda Civic, Scion tC and Kia Forte Koup. All of these coupes are relatively similar in design, engine output and price making for a very tight field overall in 2013. However, the Hyundai Elantra Coupe stands out as a top contender with its unique style, high level of fit and finish and overall value. 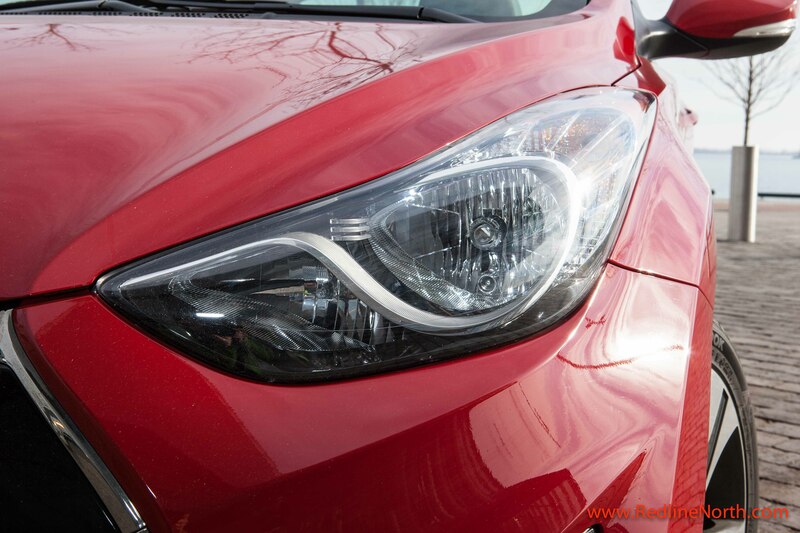 As a result, anyone looking for a new compact coupe needs to take a close look at the 2013 Hyundai Coupe. We look forward to reviewing the other models in the Elantra trifecta in the coming weeks so be sure to continue to check back with us. As today is hump day we wanted to provide you with a brief auto news wrap up. Here in Ontario, the big news today was a joint announcement by Canada’s Provincial and Federal governments to provide Toyota Canada with a $34 million investment to help the auto maker build the Lexus RX450h hybrid at their plant in Cambridge, Ontario. See here for full article. In other major news, here is an amazing video from Jay Leno’s Garage YouTube channel that provides a sneak peek of the new 2014 Corvette Stingray. It is evident from all the coverage that GM’s new Corvette has truly become the “darling” of the North American International Auto show with its redesigned good looks, unrivaled price point and striking interior. Keeping with the auto show theme, Team RedlineNorth is headed to Detroit this weekend to check out the final two days of the North American International Auto show so be sure to look out for our coverage in the weeks to come. 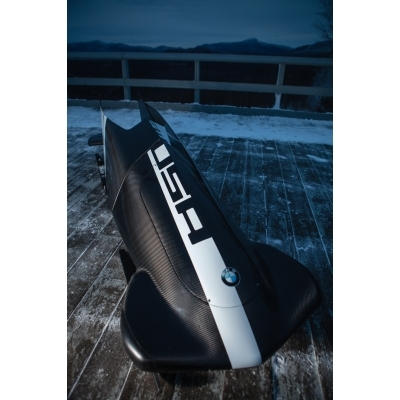 In a sport where winners and losers are determined by tenths of a second, it will be interesting to see how the newly designed sled will perform in competition. 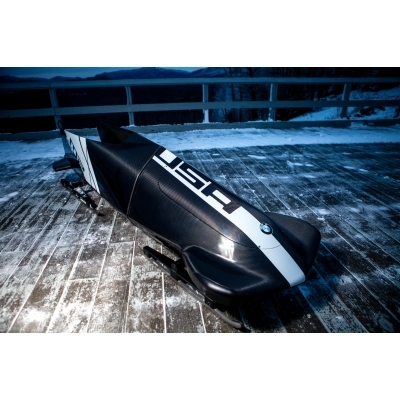 Two prototype sleds have been developed, with the first being tested in competition this weekend at the FIBT World Cup in Igls, Austria. The second will remain in development for the remainder of the season in preparation for the 2014 winter Olympics in Sochi, Russia. The results of yesterday’s competition show that perhaps Team USA needs to spend some extra time getting use to the new sled design. The team only took possession of the unit the day before competition and unfortunately Steven Holcomb (Park City, Utah) and Curt Tomasevicz (Shelby, Neb.) who raced with the new sled came in 14th place. It will be interesting to see over the coming year how the sled performs once Team USA gets a chance to become comfortable with the new design. Is this the start of new partnerships between the auto makers and national Olympic teams leveraging the former’s aerodynamic design experience? Likely not, but time will tell. Earlier this month there was significant buzz around the new auto startup company called Elio Motors. 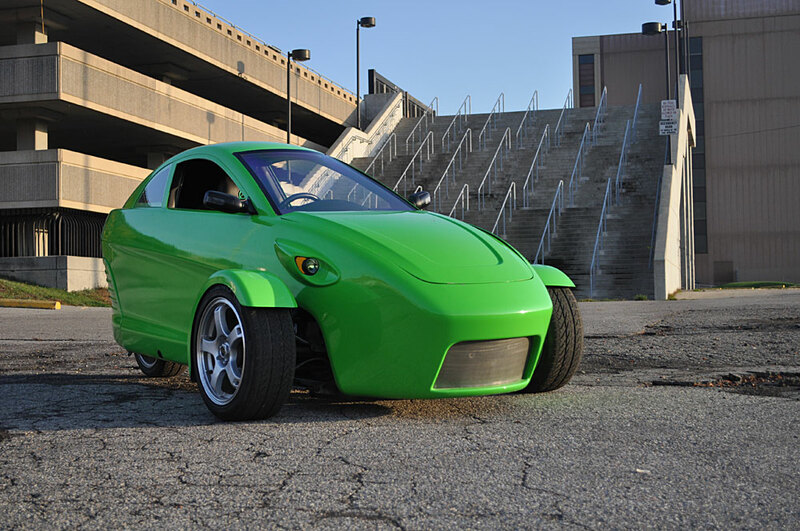 Started by CEO, Paul Elio who plans to set-up shop for his new two-seater trike vehicle in a recently closed GM manufacturing facility in Shreveport, Louisiana. 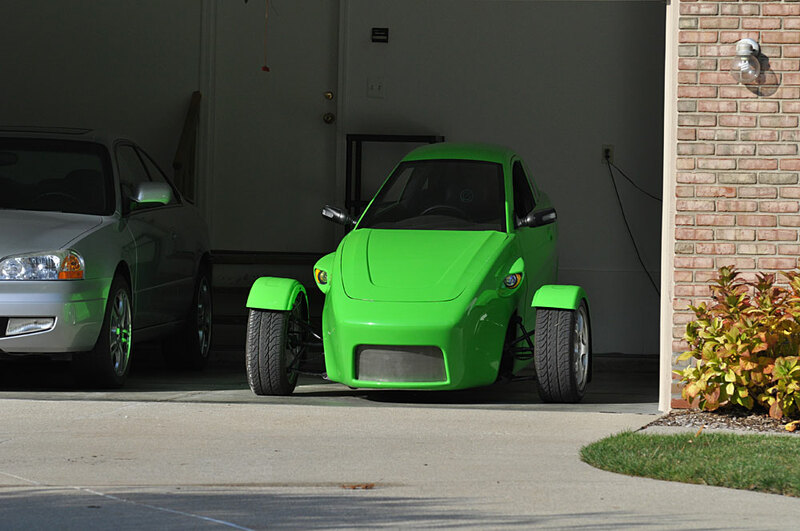 A brainchild out of the high crude oil prices of 2008, Paul has worked on the Elio Motors project for some time. His grand vision is to have the car manufactured in the U.S. by U.S. workers with parts from North America. Coverage states that at full employment in 2015, Elio Motors will employ 1500 workers at that plant which is great news for the region hard hit since Hurricane Katrina in 2005. Here is the official announcement from earlier this month. As for the specs of the vehicle it will be classified as a motorcycle and will get an estimated 84 MPG and cost $6,800 USD. 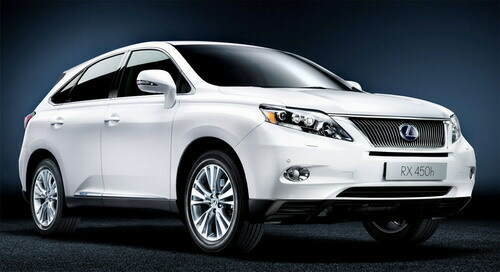 It features a three wheel anti-lock disc brake system and an inline 3 cylinder gasoline engine with 70 HP. It is estimated to reach speeds in excess of 100 miles per hour and can accelerate from 0 – 60 in just over 9 seconds. It will be offered in a number of colors and is currently available for reservation on their web site www.eliomotors.com. Unfortunately, Canadians will have to wait a bit longer to get on the reservation list but they are working on it. Well, time will tell how successful Paul’s vision is but it sure appears to be a step in the right direction of getting North America back building things and selling things that are affordable for the average family. Now that the Consumer Electronics Show, one of the largest shows of its kind, has wrapped up for 2013. RedlineNorth takes a look at three automotive focused gadgets and developments exhibited at the show this year. 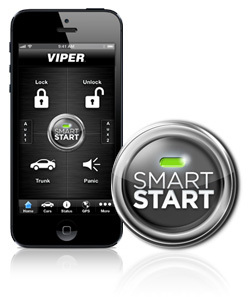 First up Viper, a maker of remote car starters, security systems and car accessories have release version 3.0.1 of their SmartStart application. What makes this app unique is Siri integration, Apple’s voice automation assistant. With a compatible iOS device using SmartStart, one can lock or unlock their car, activate the alarm, or even remotely start their car using voice commands conceivably anywhere in the world there is cellphone coverage. Through the app you can also get the current status of your vehicle, such as whether you left the doors unlocked, or whether the engine is still running. Great for those absent-minded days everyone gets once in a while. You have to wonder though, what happens if your phone gets lost or stolen and someone figures out they can a) locate your vehicle, b) unlock the doors and c) start the engine. That being said a lot of people have so much of their lives integrated in their smartphones it’s just another argument for a good password and security system for your phone. In the end, for those looking for a remote starter option may want to consider SmartStart. Check out the following video Viper has released showing how to use their SmartStart app, including the Siri voice activated remote start feature. Both General Motors and Ford announced at the show that they will be opening up the source code of their systems to allow third-party developers to integrate apps within their vehicles. In the case of GM, they will offer developers a software development kit, or SDK, to allow developers to work with GM to design, test and deliver integrated automotive apps. Starting in the 2014 model year, drivers of GM vehicles will gain access to a catalog of apps through their infotainment system, such as The Weather Channel, or Slacker Radio. In addition, drivers may be able to download applications to help them in driving more safely, or in a more fuel efficient manner, possibly reducing the cost of operating their vehicle. Given the sheer number of apps being produced for Android and iOS devices, it was only a matter of time before automakers allowed third-party developers to get involved in the app development process for vehicles. It’s a welcomed trend that will give consumers more and better choices of applications for their vehicles and RedlineNorth hopes it continues with the other manufacturers. Both Audi and Toyota joined the likes of Google in showing off their concepts for autonomous vehicles. Toyota showed off a Lexus LS at the show kitted with cameras, radar, a LIDAR laser, and multiple sensors allowing the vehicle to scan and detect the movement of objects around it up to 70 meters away (Source: PC Mag). Audi’s offering was both an A6 and A7 with prototype hardware and software added to automate a number of tasks. In the case of the prototype A7, Audi shows off its driverless automated parking ability in the video below. While not ready for mass production, these concept vehicles are pushing the envelope in terms of what may be possible in the future. You won’t be able to buy a driverless vehicle any time soon of course. However, the R&D supporting these vehicles will likely lead to more and more automation being introduced in passenger vehicles in the near future. There are a number of benefits to developing a fully autonomous vehicle such as relieving the driver from boring repetitive drives, allowing them to be more productive by focusing on other tasks and improving the safety of drivers and pedestrians by duplicating, or even replacing, human driver actions and reactions. In addition, there are benefits to both the environment and pocketbook with potential fuel savings, such as optimizing speed and acceleration based on traffic conditions. This year, the Consumer Electronics Show reflected the current trend towards vehicle automation. From fully autonomous vehicles, to remote starting your car from around the world by voice, to integrating smart phone apps into the vehicle systems, this trend is only going to continue for many years to come. RedlineNorth looks forward to the North American International Auto Show, which opens to the public on January 19th, to see what other new technologies the auto industry has in store for drivers this year. With the global auto show schedule in peak season we thought it was time to get a little more academic about the automotive industry and highlight an award-winning, global research report series from professional services firm KPMG. 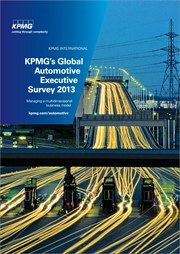 KPMG’s 2013 Global Automotive Executive Survey is a compilation of over 200 interviews with executives from the world’s leading automotive companies including automakers, suppliers, dealers, financial service providers, rental companies and mobility service providers. The report outlines the views on both the current and future outlook of the global automotive industry. One major theme throughout the report is around how a range of global mega trends are blurring the traditional boundaries of the automotive model. Divided into multiple sections, the report focuses on how developments will continue to evolve and how the overall auto industry is responding to environmental challenges, growing urbanization, changing customer behavior and the growth of the emerging markets. The complete 2013 report is available for download in PDF format. 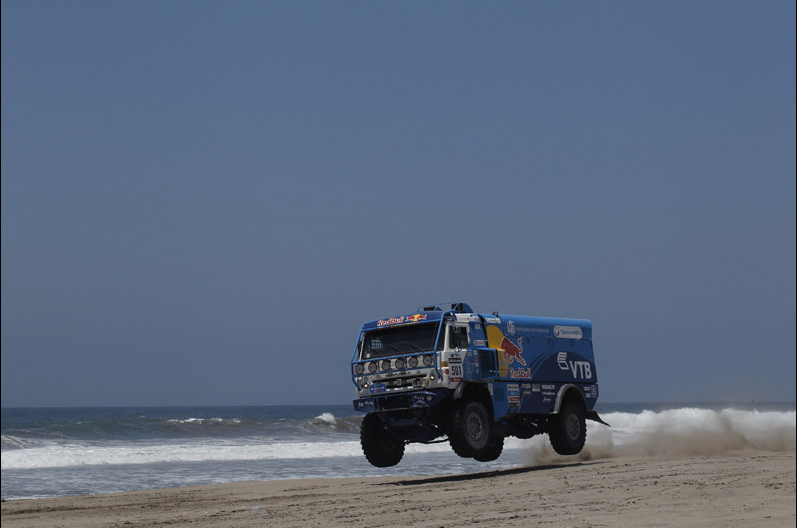 January 5th saw the start of the 2013 edition of the Dakar Rally. 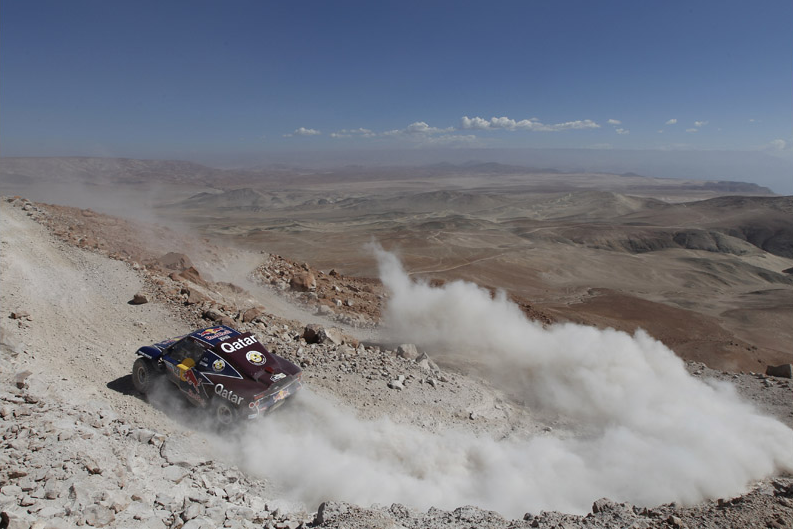 This famous rally pushes both drivers and their vehicles to the limit along a 8,000 km route which is known for its harsh conditions. The race is also unique in that amatures mix with professionals and make up over three quarters of the participants. The race was founded as the Paris to Dakar rally in December 1978 by Thierry Sabine and involved just under 200 competitors, over a 10,000 km route that year. Over the next 30 years the race grew in popularity and the course itself changed, but maintained its presence in Africa until 2008. In 2008, the rally left the African and European continents when the event was cancelled due to security concerns around potential terrorist attacks. 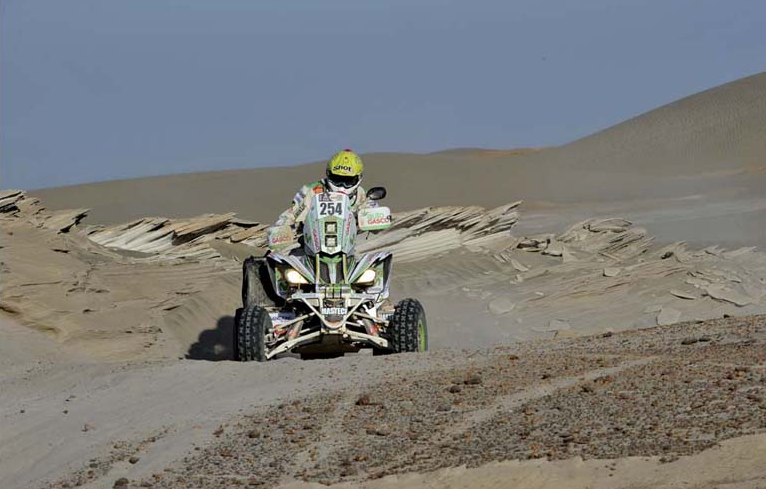 Since 2009, the newly named ‘Dakar Rally’ has been run in South America. The 2013 edition will start in Lima, Peru enter Argentina mid way through the route and end in Santiago, Chile on January 19th. There are four major competitive groups in the rally, motorcycle class, quad class, car class and the truck class along with associated subclasses within each. The vehicles themselves are largely purpose built or heavily modified versions of existing models, nonetheless the rally provides a good testing ground due to it’s extreme conditions. Many manufacturers over the years have sponsored and tested their vehicles or parts and technology during the rally. 40: the number of quad bikes entered, a record. In addition, it is expected that there will be 1 billion viewers of the event this year along with 4.5 million spectators along the route, making it a truly global event. 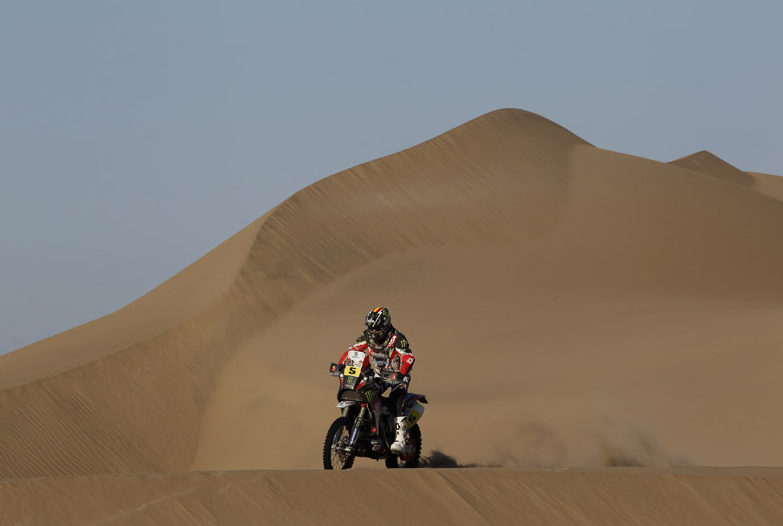 …and the following provides a summary of all the action during stage 4 of the Dakar. Follow live coverage of the Dakar Rally from your browser, or download the smart phone app for iOS or Android. 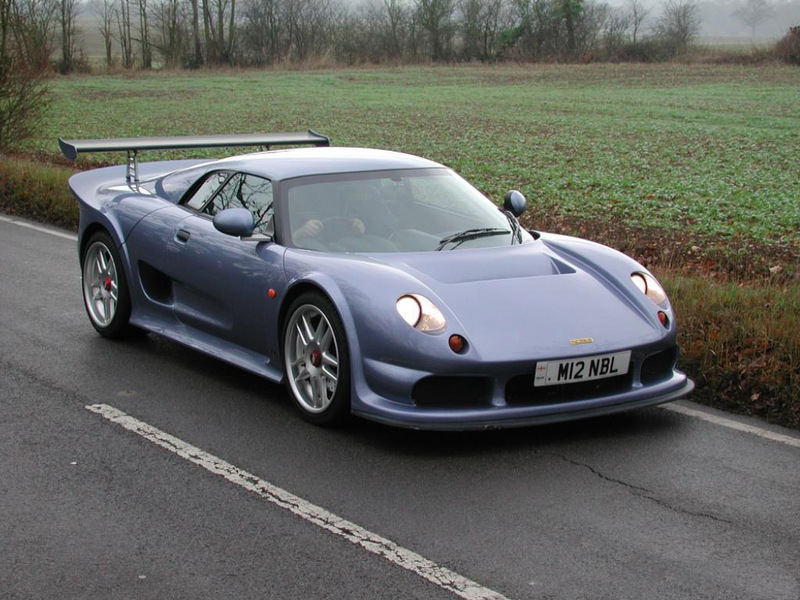 One company widely known among collectors and car enthusiasts is UK based Noble Automotive. Established in 2001, with the release of its acclaimed M12 model which received high praise from the international motoring press for its incredible ride, precise handling and impressive power. The Noble M12 is a two-door, two-seat model, originally planned both as a coupe and as a convertible. All M12s were powered by a twin turbocharged version of the 3.0L Ford Duratec V6 engine (Yes same block as in my 2008 Ford Escape who knew?). Of course the engine is totally rebuilt and tuned to a max power of 425 hp at 6500 rpm, with 390 lb·ft of torque at 5000 rpm. Along with forged pistons, an oil cooler, a larger baffled oil sump and extra cooling ducts used to maintain its durability at high rpms. As for the body construction, the M12 has a full steel roll cage, steel frame, and fiberglass composite clam shell body parts. These famed “Ferrari killers” are extremely lightweight and stiff and although developed more for the track, the M12 performs very well on both road and track. This is largely achieved by having no anti-roll bars on the car which enables the suspension to be stiff yet comfortable. Check out a UK based review of the model from back in the day. In 2006 the company was sold to Peter Dyson, a successful business entrepreneur and collector of exotic cars. As an M12 owner and a huge admirer of both Noble Automotive and the M12’s attributes he had a vision for the company. He felt the cars in his collection that gave him the most joy and rewarding driving experience, tended to be the “earlier” models, none of which featured computer assistance. The current supercar offerings of that day just did not reward the driver in quite the same way. So his idea was to produce a modern supercar that replicated this “analogue” inspired driving style of computer technology “purity”. This challenge led to the development and launch in 2010 of the Noble M600 supercar. Handbuilt in Leicestershire, England, the Noble M600 is constructed from stainless steel and carbon fibre and uses a twin turbocharged Volvo V8. Although the M600 uses the Volvo V8 powerplant from the Volvo XC90 and S80 models, its V8 includes twin Garrett turbochargers that increase the horsepower to supercar levels. Another very unique technical feature is the prescence of a military style switch taken from the British Tornado jet fighter. The switch is used to provide choice for the driver between the three performace settings including a 450 hp road setting, a 550 hp track setting or an outrageous 650 hp race setting. 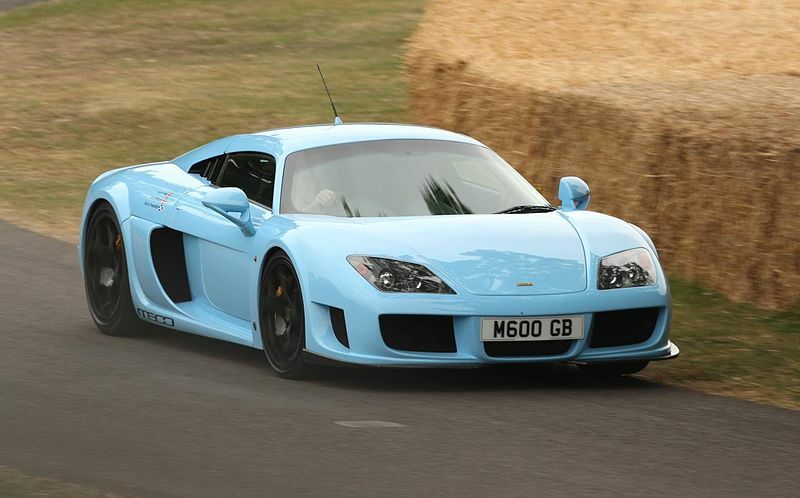 The combination of immense power and lack of an ABS braking system as per Peter Dyson’s vision of building a “pure” supercar, the M600 does make the cause for owners to be skilled drivers. Neverthless, from all real-life accounts, the M600 is quite easy to drive at low speeds around town. Of course this type of power and technology does not come cheap which is evident with the M600’s current sticker price of £200,000 in the UK or $330,000 in the United States. In addition, with production numbers of 50 per year you may still have to wait a while to get one even if you have the money. Oh dear, the difficulities and hardship of being part of the 0.01%….. The Noble M600 performance numbers are 100% supercar legit and having one of these cars will make you the envy of any auto enthusiast. Enough of the chatter now, as to fully appreciate the M600 you must experience it on a track so go ahead and watch Top Gear’s Jeremy Clarkson video review from a few years back. If we were fortunate enough to have a supercar budget this would be at the top of our list for sure. Sources: Top Gear, Wikipedia and Noble Automotive. The North American International Auto Show (NAIAS) will be held in Detroit, Michigan from January 12th to the 27th and the RedlineNorth Team will be there covering the events. The NAIAS is the only auto show in the United States to be afforded the annual sanction of the Organisation Internationale des Constructeurs d’Automobiles, the Paris-based alliance of automotive trade associations and manufacturers from around the world. In anticipation of the 2013 edition of the show, RedlineNorth takes a look back at its history and how far it has come. The first auto show was held in Detroit in 1907 at Beller’s Beer Garden at Riverside Park and was organized by the Detroit Auto Dealers Association. That year there were 17 exhibitors presenting at what was then a regionally focused show. Throughout the next few years the show gained in size and moved into increasingly larger venues to accommodate a greater number of vehicles on display as well as visitors. Due to the outbreak of World War II the United States government outlawed all sales or delivery of new passenger vehicles and trucks. There were no shows from 1941 to 1953. In 1965 the show moved to its current home at the Cobo Center where it occupies nearly 1 million square feet of floor space each year. In 1989, the show was renamed the North American International Auto Show to reflect the desire to become a truly international event. That year 850 journalists, 60 of whom were international, attended the NAIAS. It was in 1989 that Lexus and Infiniti debuted as a brand at the show and the Dodge Viper was displayed as a concept car. This year there will be over 50 vehicle debuts with the majority being worldwide unveilings. Vehicles debuting at the show include the BMW M6 Gran Coupe, the 2014 Lexus IS, the 2014 Cadillac ELR with a plug-in hybrid drive train and Bentley will officially debut the new GT Speed Convertible. Last year over 770,000 people attended the show with just as many, if not more, expected this year. The show will also be covered by over 6,000 journalists from around the world and over 500 vehicles will be on display. Stay tuned for more coverage of the show later on this month.